From the moment I felt that fluid oozing down my leg on the stairs of the Italian restaurant, I became aware of one indisputable fact of childbirth: You have absolutely no control over the situation. Unlike, say, peeing in your pants, when you can try to squeeze yourself to a stop, when your water breaks you can’t do anything about it. You just have to wait till it’s over, then grab some paper towels and smile while you pray the waiter doesn’t skid on the mess and dump a lasagna in someone’s lap. Up until that point, I had been used to being in control. Even with my pregnancy, I micromanaged just how much information was doled out to relatives and friends and planned every detail of my maternity leave. I had even come up with a plan for how my labor would begin. I would take a week off from work, see a bunch of movies, and do any last-minute shopping for baby gear. Then, one evening while Jeremy was lovingly reading the latest Harry Potter book to my belly, the contractions would start—soft, gentle waves that I could breathe through easily for a few hours. We would go out for a walk, perhaps get some ice cream. We would then casually head to the hospital, where Jeremy would massage my back with tennis balls until it was time to get the epidural. But then reality got in the way. When my daughter picked her own inconvenient time and place to start her journey, I could do nothing more than go along for the ride. I could control how the labor played out about as well as I could control the peace process in the Middle East. Two years later, when I gave birth to my second daughter, Molly, I went in with some idea of what to expect, but I still had that same panicked feeling of losing control, and the labor went so quickly that I didn’t have a chance to even contemplate following a birth plan or controlling the pain. I just grabbed the doctor by his scrubs as my baby practically flew out of me. Among the many things that are out of your control during childbirth are when and where your labor starts. 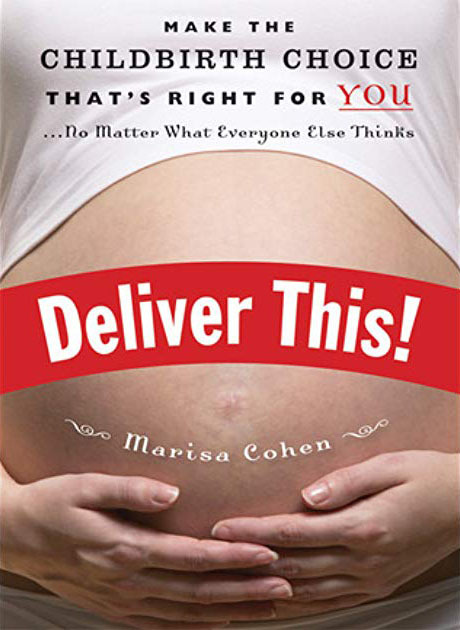 You can’t control what position the baby is in and whether or not she wants to come out. You certainly can’t control what sounds you are going to make and what obscenities you might scream out in the middle of all of it. One of the big secrets of childbirth that we all tend to talk about only after the fact is that you can’t control your bodily functions, either: You are going to vomit, and you are very likely going to poop in front of other people (when you start pushing, everything down there comes out). You can’t control whether any other complications with the baby or with your own health will get in the way of your ideal birth scenario. A complete loss of control over your own body is horrifying to some women and liberating to others, and the way you respond to that concept is one of the primary forces that informs your birth choice. Midwives I talked to spoke of “getting out of the way of your body,” and “letting go of the idea that you can control childbirth.” Many of the natural-birth mothers I interviewed admitted that they didn’t truly begin to get in sync with their labor until they gave in to the fact that they could not control it or even, in some cases, control the pain, despite what they learned in childbirth classes.